“Caponata”, “Roasted quails in a Madiran wine sauce”, “Smooth celeriac purée with nutmeg”, “Rice pudding with preserved fruit”, all make up a mouth-watering menu, but not, as you might expect, from the latest trendy restaurant. In fact it is intended for Thomas Reiter, a European astronaut which reached the ISS last July. Reiter will be the first to taste these dishes in the weeks to come. As planned, the russian Progress spacecraft carried the meals yesterday. Yesterday, on October 23d, The Russian spacecraft Progress was launched from the Baikonur cosmodrome. As planned, the spacecraft carried the meals developed by ADF, the consultancy and training department of Groupe Alain Ducasse with CNES and ESA. The objective of this cooperation was to create a full range of tasty, healthy and nutritious meals for astronauts. How did these meals come to be aboard the ISS? It all began with a pedagogical project undertaken by the cook Richard Filippi and his students at the Lycée hôtelier de Souillac in the Lot. In 1996, he obtained certification to supply tinned meals fro the Cassiopee mission. Following unanimous praise by the Russians, French and Americans who had tasted the meals, CNES wished to continue the project with professionals. The initial teaching project has now become an operational one, henceforth entrusted to ADF, whose initial assignment was to create tasty, balanced and healthy dishes according to specifications for meals for the ISS. 13 recipes were certified CNES’ Russian partners and were then made in the ADF laboratory in the Basque country. Among them were “Preserved duck breast with caper condiment”, “Riviera style swordfish steak”, “Melt-in-your mouth apple slices” and “Space Far” (a traditional Brittany tart). These “French meals”, as the Russians call them, do not compete in any way with the daily meals provided by the Russians and Americans which are the only ones recognised in International protocols. This only concerned exceptional, "special event meals" for particular assignments such as crew relief missions or extra-vehicular activity. 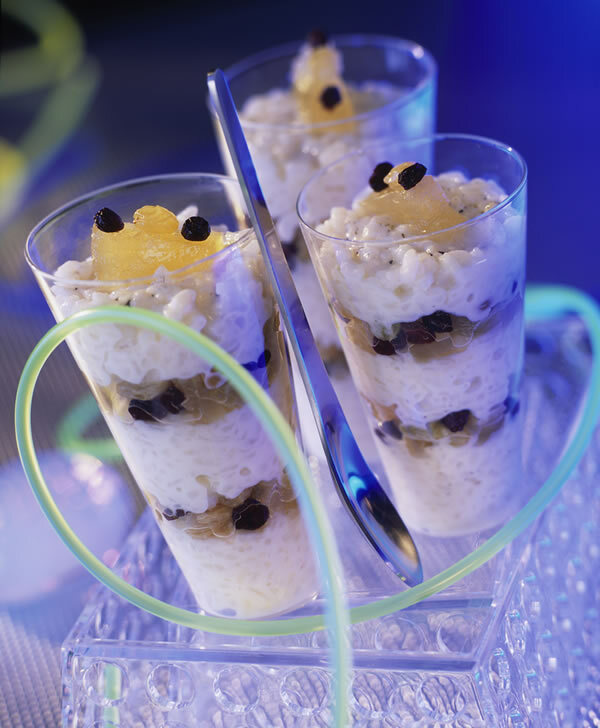 To tempt the astronauts’ palates, 1 or 2 new recipes will be invented each year. The meals developed by ADF’s chefs were tested under extreme conditions such as polar crossings. These “space certified” dishes are packaged in aluminium alloy and light manganese boxes which are suitable for heating in the Russian segment of the ISS. 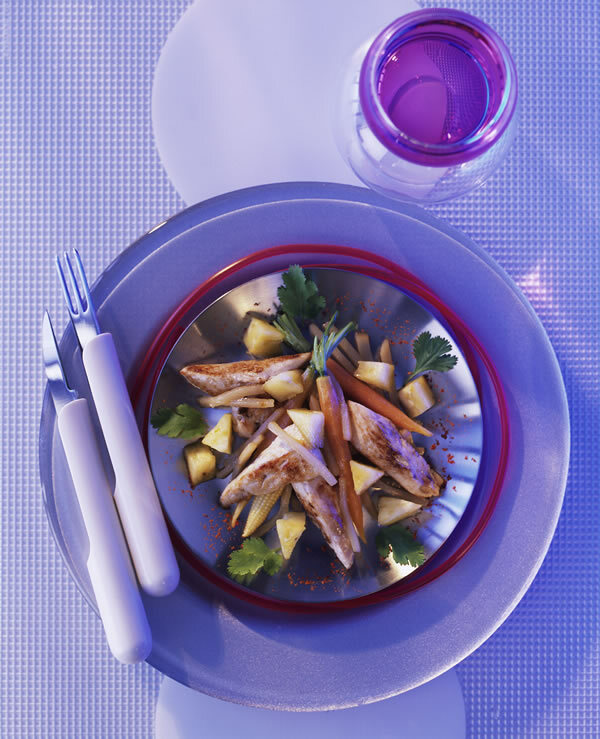 The meals are not only intended to taste good but also to match requirements following scientific research into human physiology, as part of the CADMOS activities at the CNES Technical Centre in Toulouse. ADF will be working on new recipes particularly for breakfasts. Some of the goals of the cooperative project are to make the meals taste more like good food cooked on Earth. Meal times are an essential part of the life on a space station and should thus do more than merely satisfy the physiological needs of astronauts during their missions. Special report "Nutrition : serving space and improving health"